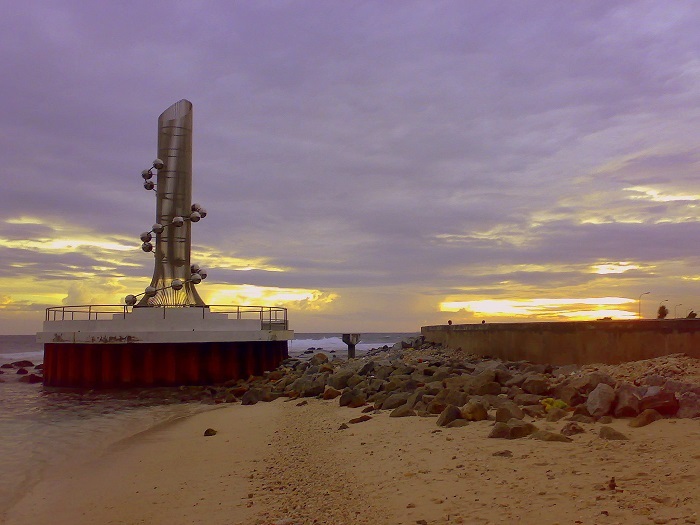 The Tsunami Monument is memorial that honors the victims from the 2004 tsunami that devastated several countries around the Indian Ocean, and it is located in the capital city of the Republic of Maldives, Malé. With the devastating underwater earthquake which occurred on 26 December 2004 in Sumatra, Indonesia, there were several nations which were affected by the devastation, among which the Maldives too were greatly affected. 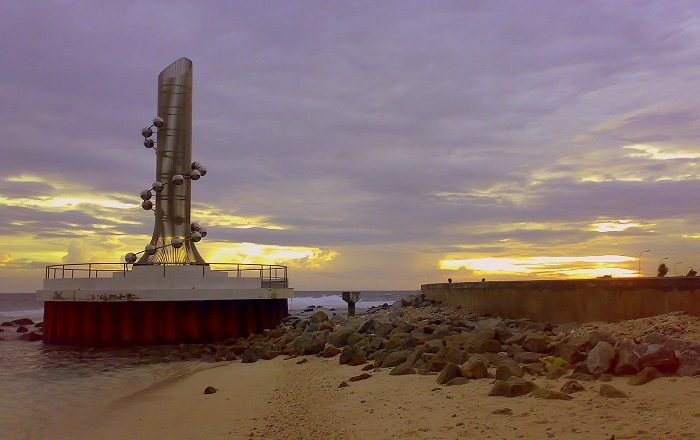 As the tsunami passed the nation, there were 74 fatalities along with extensive material damage, and nowadays visitors of the capital are able to see the memorial built in honor of that day. 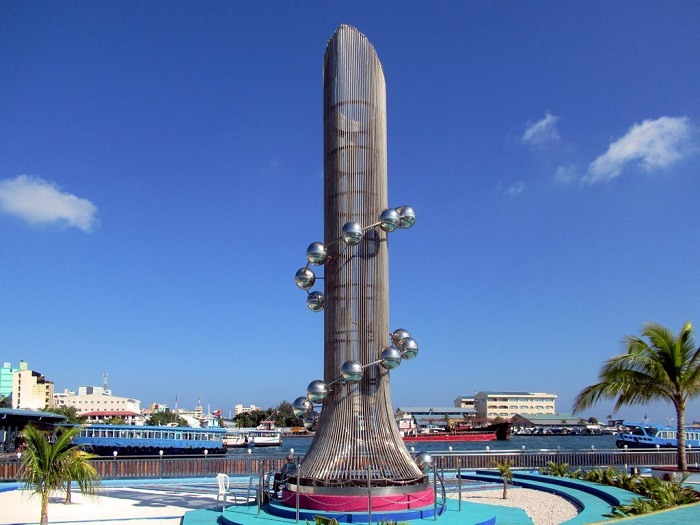 Being a quite fascinating place, the monument rises from the spot where the sea touches the land, and there are balls made of steel which represent the 20 atolls of the country. While they are rising towards the sky, it was intended for them to represent the mounting waters of the tsunami. At the heart of the monument, there are iron rods that have been placed vertically, and each of them signifies the life that was lost with the victim’s name engraved on the iron rod. 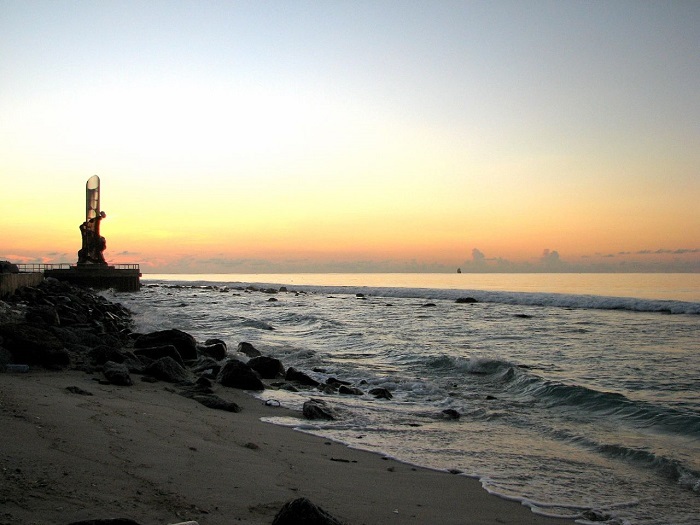 Located in the southeast part of Malé, the Tsunami Monument is an interesting spot for surfers, and all those who would like to enjoy and relax by listening to the waters which are fortunately slowly splashing the land.